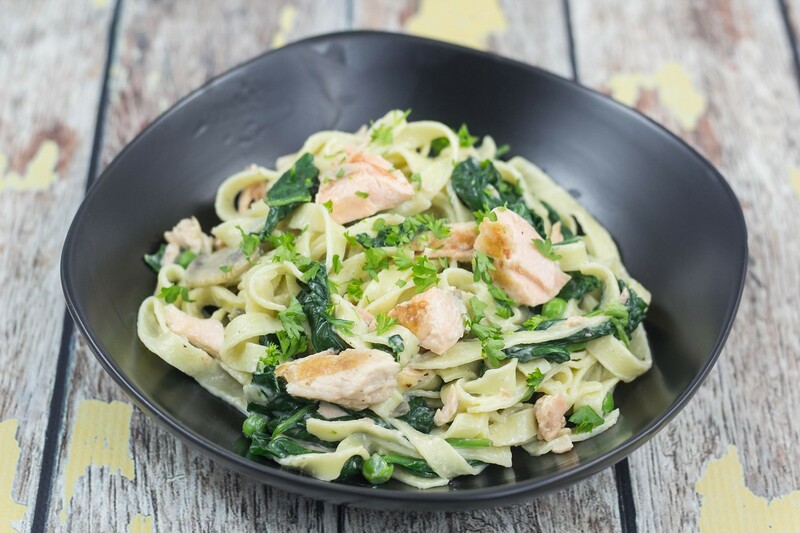 This recipe for Pasta with Salmon and Spinach is one of my favorite pasta dishes. 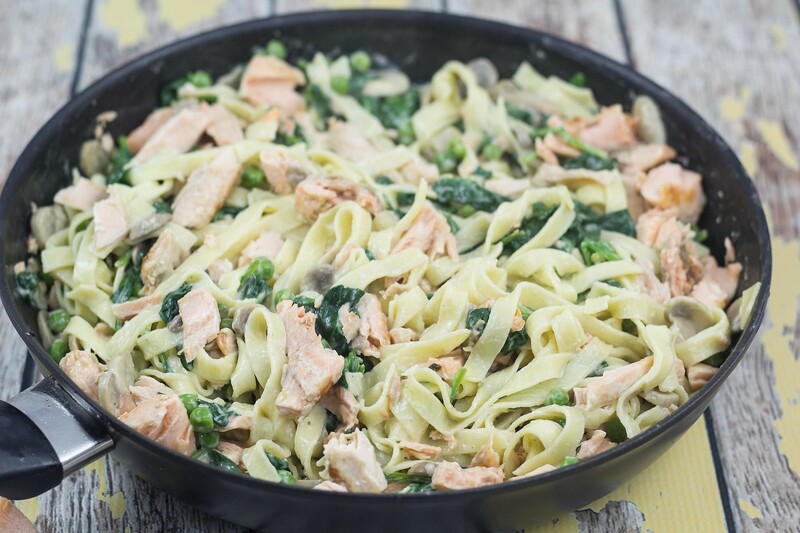 The taste is just wonderful and the time it takes to make this dish is only about 30 minutes. Therefore, it is absolutely a dish I will recommend to you if you are looking for a quick and delicious dinner. 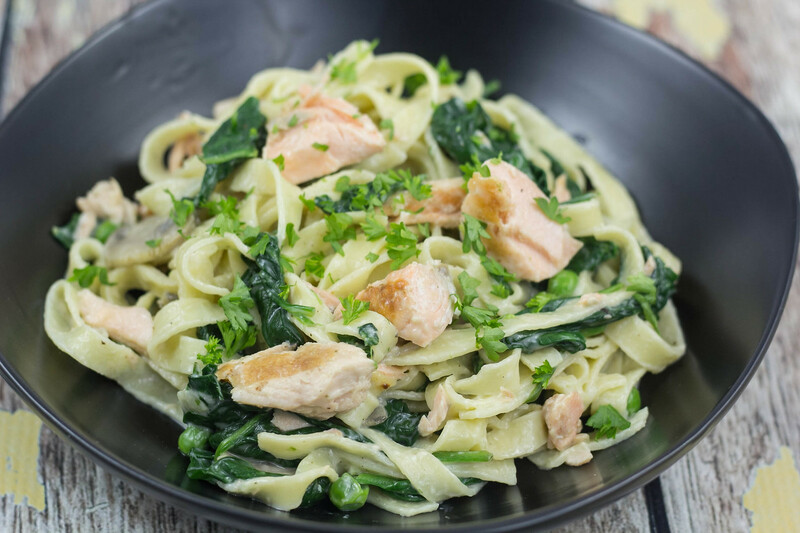 Another reason why I like this dish a lot is because it has the salmon fish which contains the good fat and oils, and it has the healthy spinach which is packed with good nutrition and vitamins. 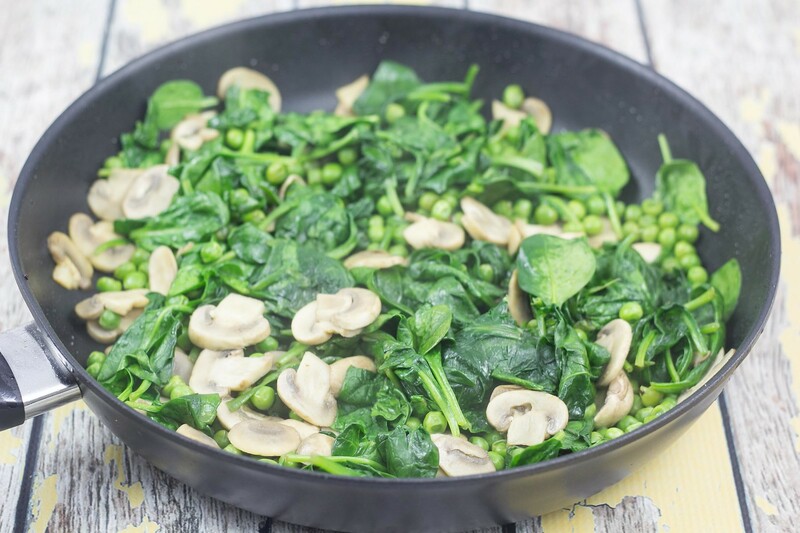 It is therefore a quick and also healthy dinner – which I think is just great. The instructions for this recipe is quite simple. 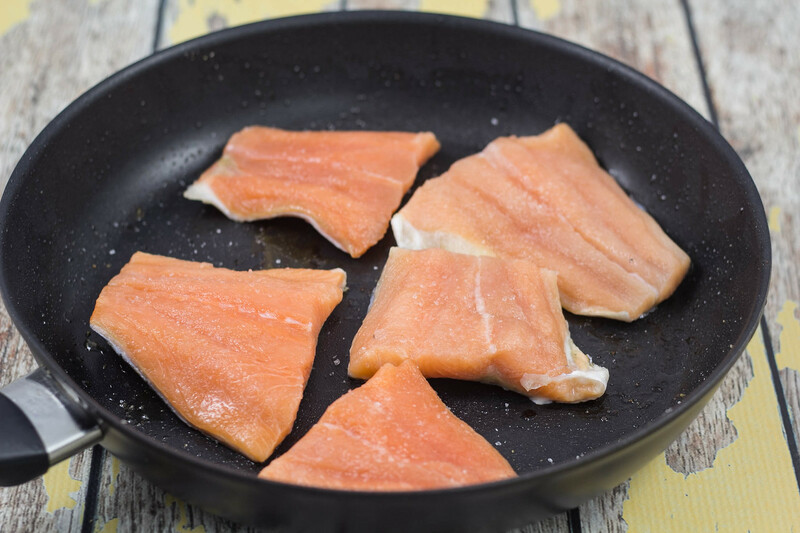 You start by frying the salmon and then break the meat into smaller pieces. 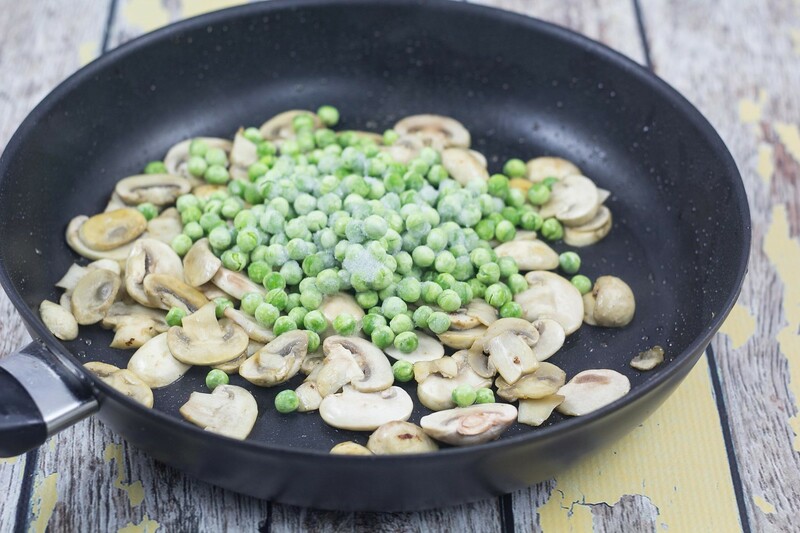 Then you fry the cleaned and sliced mushrooms, the frozen peas and the fresh spinach leaves. Prepare the pasta in boiling water. 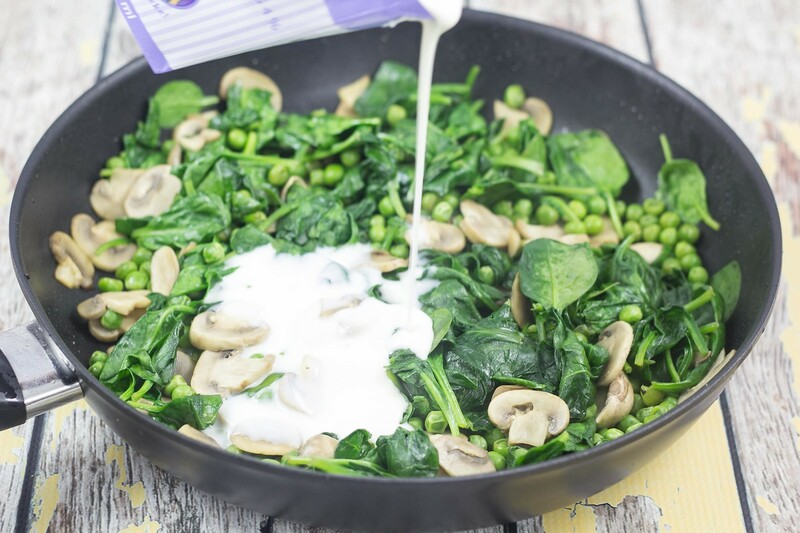 Finally, mix all ingredients on the frying pan together with some half-and-half cream. 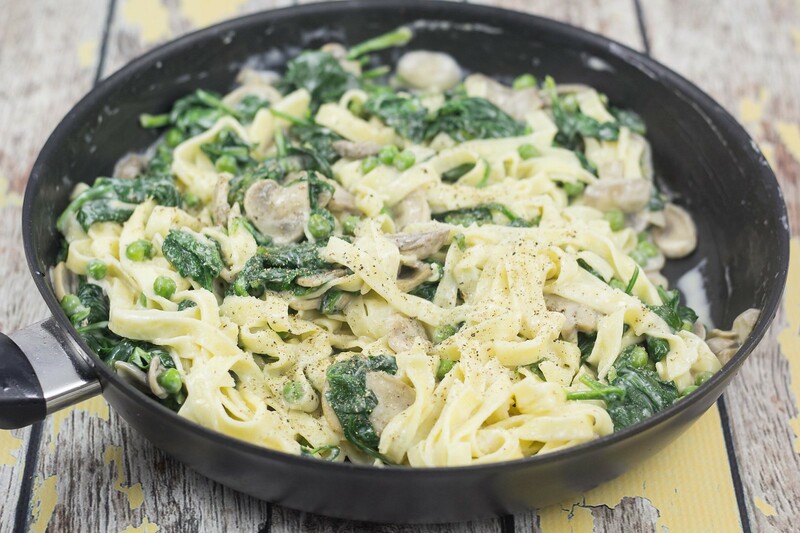 Serve the pasta together with a glass of cold white wine and then you are all set. 1. 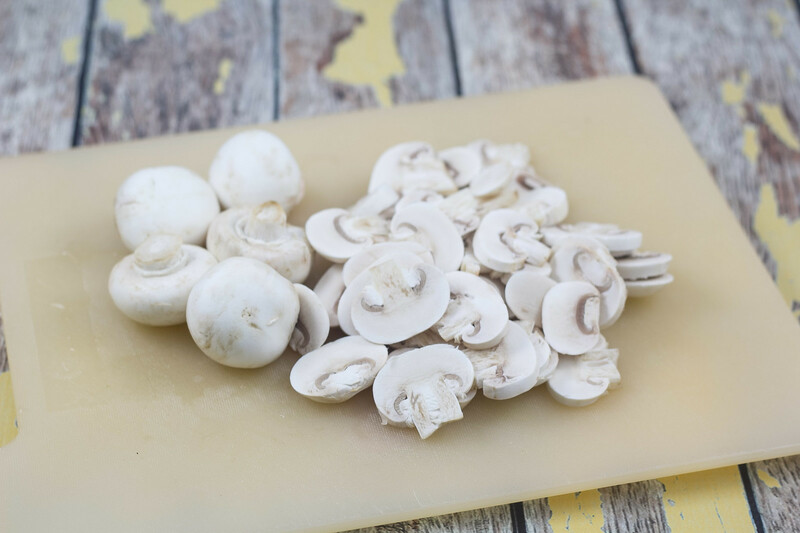 Rinse and clean the mushrooms and slice them. 2. 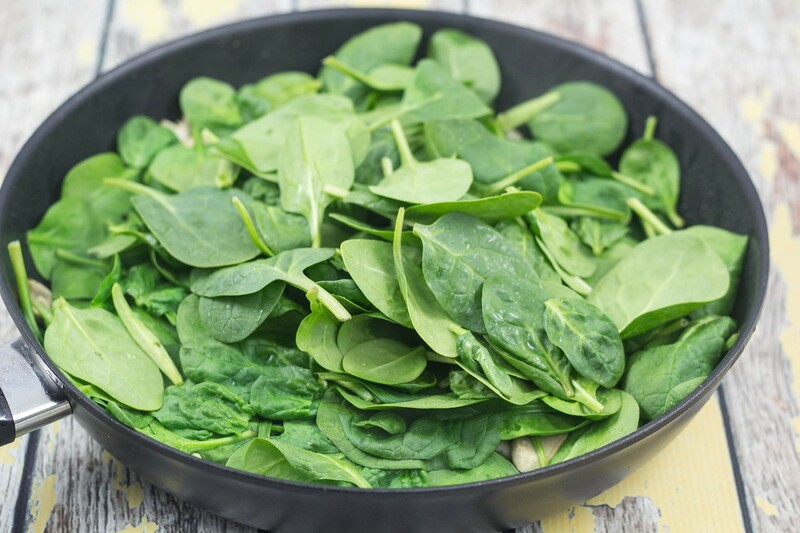 Thoroughly clean the spinach and let it dry a little bit. 3. On a frying pan; fry the salmon at medium heat. Add salt and pepper to taste. 4. 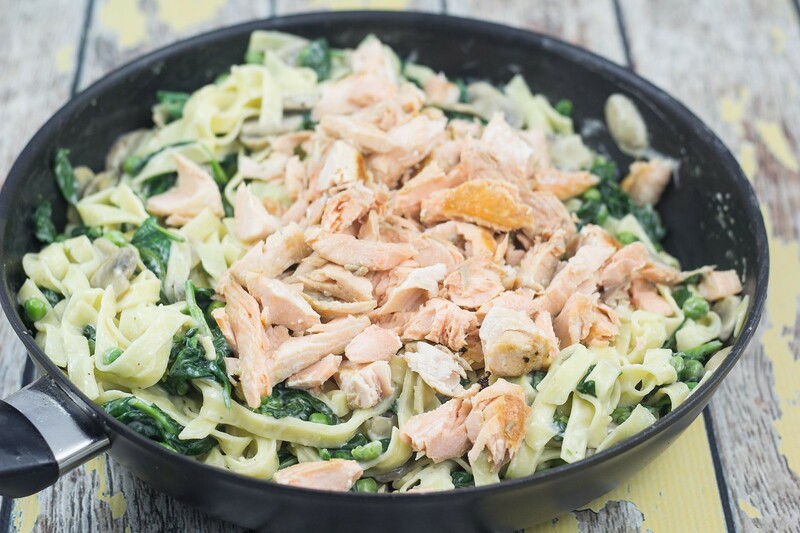 When the salmon is done; use a fork to break the meat into smaller pieces. 5. Prepare the fresh pasta according to the instructions on the box. 6. 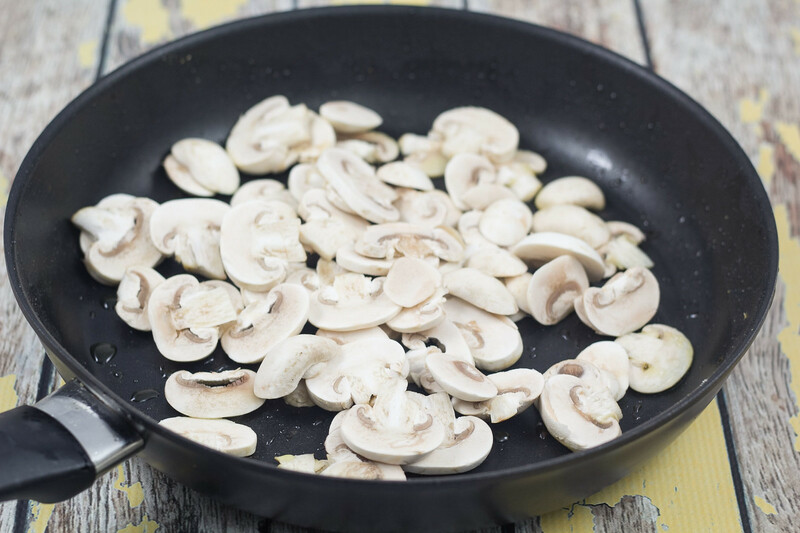 On the frying pan at medium heat; fry the mushrooms. 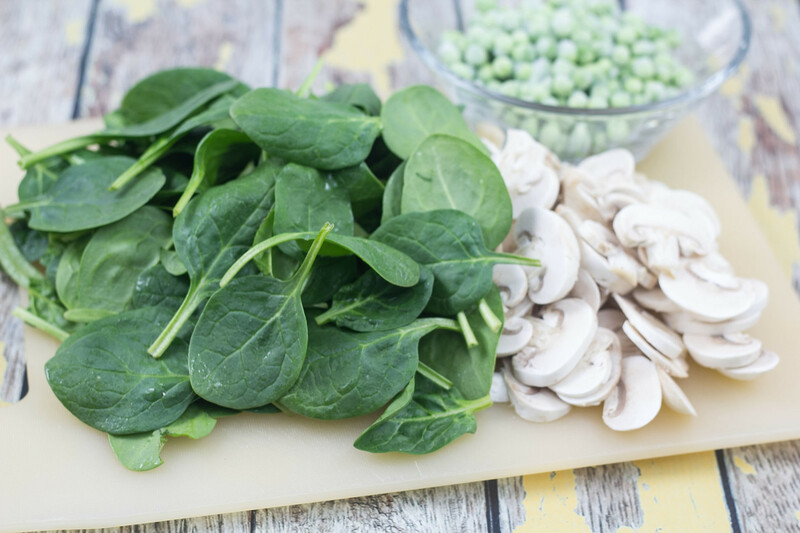 Then add the frozen peas and a little later add the spinach leaves. Continue frying for some extra 3-5 minutes. 7. 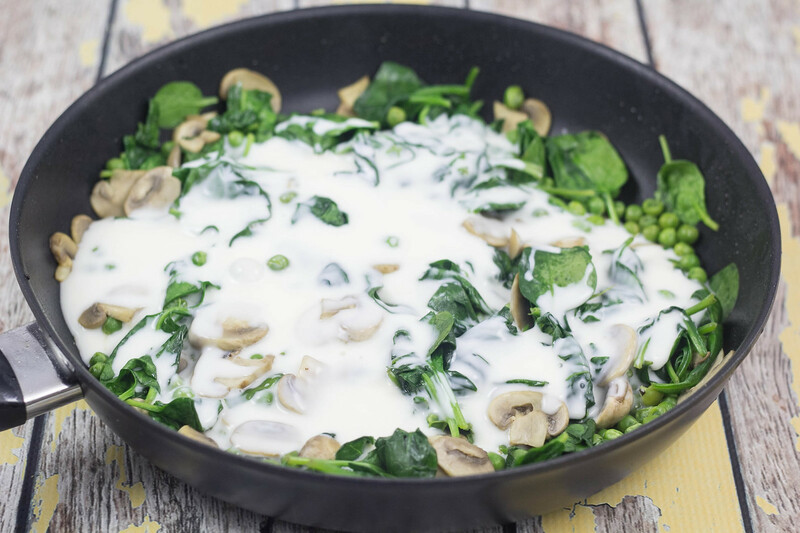 Then add the half-and-half cream and the prepared pasta to the frying pan. 8. Finally, add the salmon pieces and gently mix everything together. Add salt and pepper to taste. Made it yesterday and it turned out perfect! Even my one year old loved it!